This course introduces students to the skills necessary for agriculture mechanics and industry employment. Areas of study include general shop safety, basic welding, electrical applications, water management, agricultural drafting and construction, engines and power, and machinery maintenance and repair. This is a continuation of AMT I and allows students to expand on the topics. An essential part of the course will be leadership activities and Supervised Agriculture Experience (SAE) Programs. 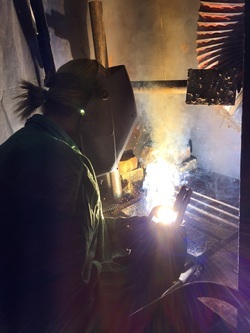 Level 3 students will also be introduced to basic construction and pipe fitting techniques, GMAW, GTAW, plasma cutting, agricultural machinery operation and repair, hydraulics, electrical power, motor and control systems. Students will explore basic hand drafting, architectural design, and computer aided design processes. The Center for Agriculture Science and Engineering fosters student personal growth, leadership, and opportunities in agriculture technologies, innovation, design, and engineering. 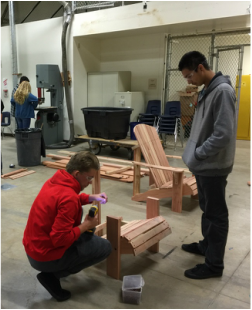 Students apply and integrate science, technology, engineering, and community outreach through co-curricular activities, competitive events, and related programs.